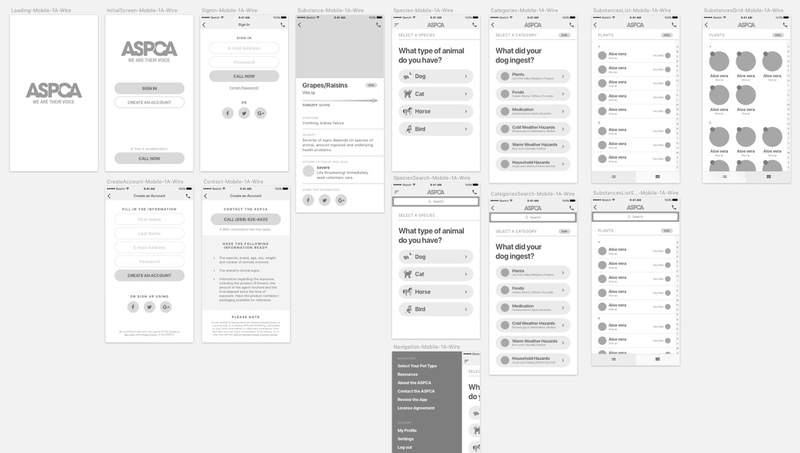 I had the opportunity to work with the ASPCA to redesign and re-imagine its Animal Poison Control Center mobile application and an administrator platform to management the content. 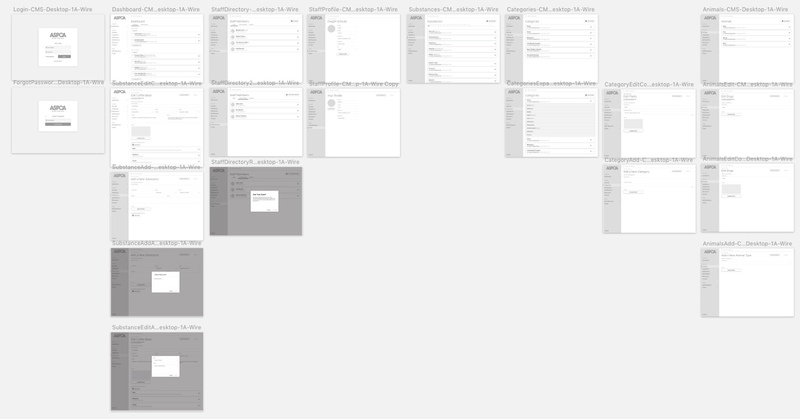 Before beginning the redesign, I hosted an inception workshop to determine the goals, requirements, personas, and user stories associated with the updates. In my initial research, I determined there were four primary groups that the ASPCA were targeting with this application. Two from the consumer side, and two from the admin side. With pet owners, we grouped them into educated and naive pet owners. 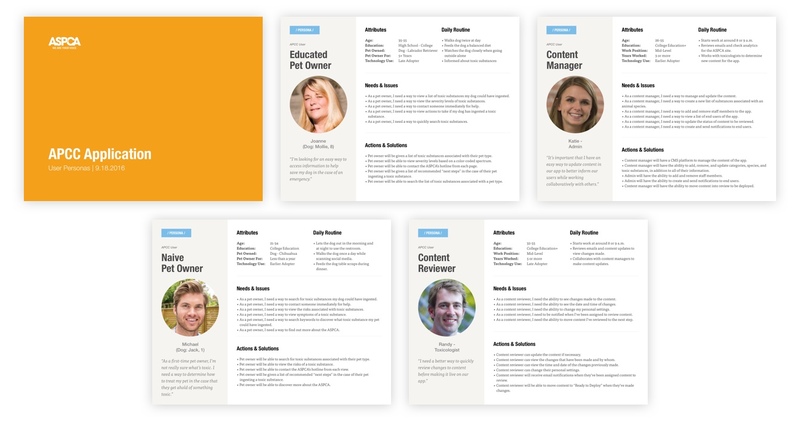 Within the Content Management System, there were two specific roles needed: content manager and content reviewer. The consumer mobile application needed to function on a few key pieces of functionality. First, pet owners needed to sign up or sign into their accounts. They also needed an option to make an emergency call. Once signed in, they could select the animal they were concerned about, and choose a category of the item they ingested. Once they determined what it was the pet ingested, they would find out more information about the toxicity of it. 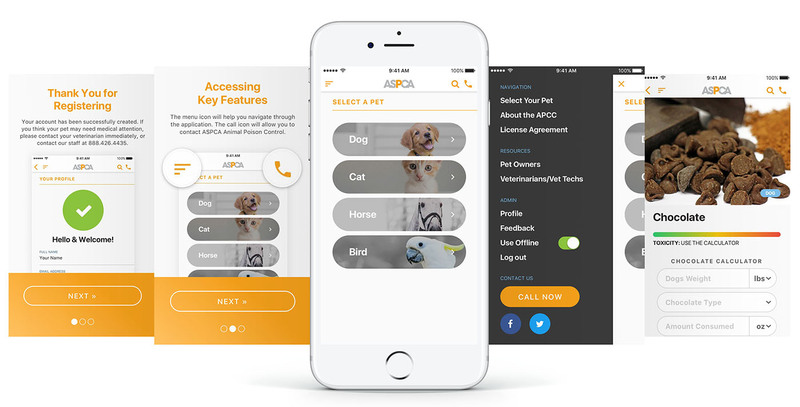 In order to power the consumer mobile app, the content managers at the ASPCA needed a way to update the information and maintain up-to-date content for those needing to access the information. While the content rarely changes, having the ability to do so makes it easier for content managers to access it and make changes when the opportunity does arise.